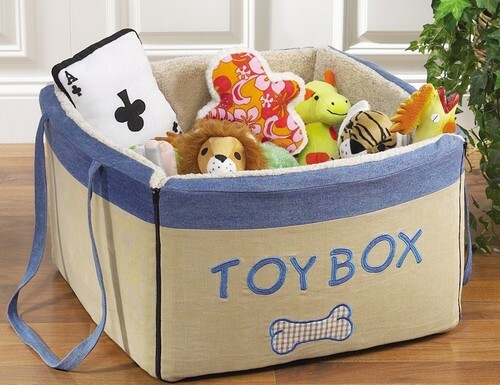 A toy box is a storage container that is a necessity when you have children. It can be decorative or simply serviceable. Body – Start with the basics: take six pieces of plywood and cut four of them to 4×2′, and two of them to 2′x2′. Once this is done, use corner molding to secure each corner of two of the larger plywood pieces together. Secure smaller pieces on the opposite side of the corner molding to make a box. Miter the edges and secure the top of each side of the box with countersunk screws. Cut off and sand any excess metal from the inside of the box and then cut two lengths of 1×2″ board. Measure 1′ into the long side of the box from each side and mark this point. Using 3″ wood screws, secure 1×2′ stock to the outside of the plywood at the edge that does not yet have any molding on it. Miter the edges of the flat molding and secure the piece to the bottom of the box in the same manner as the top. Place the third 2×4′ piece of plywood inside the box and screw it to the cross members that support the floor. Lid Frame – Cut and miter the edges of the remaining 1x2s to form a square that is 2×4′. Glue the corners and clamp them in place. Allow them to dry and then use a corner fastener to hold them in place. 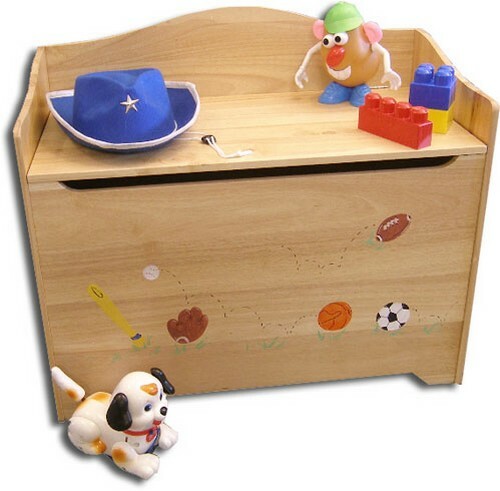 Attaching the Lid – Mark dots centered left to right on the top of the body of the toy box and the lid frame. Lay the body of the box on its back side. Attach security hinges to the inside of the box. Turn the box upright and place the lid frame on top. Open the hinge and mark the placement of the screws on the frame, then secure the frame to the hinges. Place the remaining piece of 2×4′ plywood on one edge of the lid frame and secure it using 1″ screws countersunk into the wood. Fill the countersunk holes with wood putty and allow them to dry. Sand and smooth the filled-in areas. Finally, paint, stain or decorate to taste.